« More Live Raptor Web cams from America & Latvia. The game shooting industry in England has been master and manager of it’s own destiny on moorland where red grouse are shot for far too long. Protected raptors are dependent upon these important heather ecosystems for their survival, but continue to be treated like vermin, ensuring red grouse numbers are maintained at artificially high levels for the sole benefit of their masters and clients to shoot. Because of this we are now paying the price resulting in the disappearance of the hen harrier, Peregrine, Short-eared owl and Goshawk from most of these upland regions in northern England.This is the reason Dr Mark Avery is asking people to sign his important E-petition which proposes the English government should consider banning driven grouse shooting as the one way forward to end persecution. 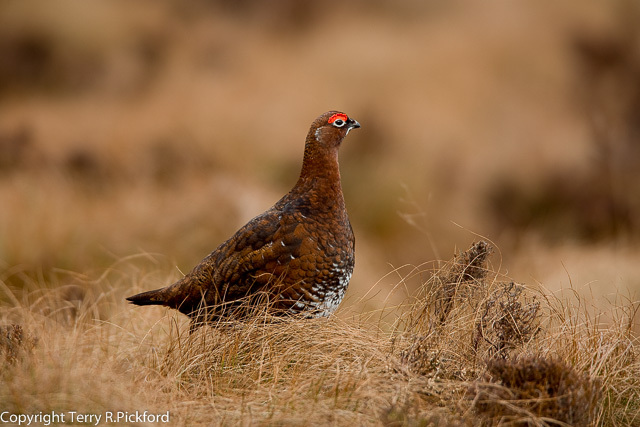 The RSPB have also proposed the government should licence all grouse moors. This is an interesting proposal, where would the resources and manpower come from to monitor such a project, and perhaps just as important where would the huge financial funding come from? His Grace the Duke of Westminster in deep conversation at a meeting of the Hen Harrier Recovery Project at Abbeystead October 2007 in the Forest of Bowland. Linsey Waddell, Moorland Gamekeepers & the late George Day (NWRPG), Abbeystead October 2007 at a meeting of the Hen Harrier Recovery Project. The warnings signs were always there, and yet we failed to act early enough to make any difference. Natural England’s Hen Harrier Recovery Project was one important initiative which we all hoped would succeed. With the advantage of hindsight, we now know the project was domed to failure from the beginning despite the millions of pounds of funding provided. The facts are really very simple, the bulk of red grouse moor estate owners and a majority of their gamekeepers have never been prepared to change their opinion of the hen harrier or accept their presence on the moorland where red grouse are shot. It is important to remember last year both successful nesting pairs of hen harriers in the Forest of Bowland required 24/7 around the clock protection to ensure the 2 nests were not interfered with, each nest managing to fledge 5 chicks. Unless fundamental changes to England’s wildlife legislation are adopted placing statutory requirements on grouse moor owners to accept hen harriers on their moorland estates, the hen harrier will never be allowed to return to England’s uplands in any useful number in the foreseeable future. Sadly the few birds that may turn up are likely to disappear just like the hundreds, if not thousands, that have already vanished before them. What happened in the Forest of Bowland last year to both ‘Sky’ and ‘Hope’ the two satellite tagged harriers that disappeared just 3 miles from where they fledged was a timely reminder of a situation that is urgently in need of fixing. Stephen Murphy, National Hen Harrier Coordinator with a satellite tagged hen harrier. We now know at least 35 tagged hen harriers have all disappeared, the majority on moorland where red grouse are shot. We must now accept the majority of hen harriers that have frequented England’s northern uplands throughout the last three decades are likely to have all suffered the same fate at the end of a loaded shotgun, with unknown numbers of clutches of eggs and chicks destroyed before being placed down a rabbit hole. The disappearance of all breeding hen harriers from the northern Pennines in 2006 should have been a wake up call. Beginning in 2010 Peregrine densities throughout the whole of the Forest of Bowland began to decline at an unprecedented rate. By 2014 at least fifteen historic Forest of Bowland peregrine territories were recorded as abandoned together with the loss of at least thirty adult falcons from these nesting locations.We are also reminded of Bowland Betty, a hen harrier fitted with a satellite tag and then tracked and subsequently found shot dead on an unnamed red grouse moor in Yorkshire. There is little disagreement among conservation activists, the bulk of harriers lost in northern England after being fitted with satellite tags which mysteriously stopped transmitting, appear to have been killed because they were never recorded or seen alive again. Strong rumours also persist indicating the bulk of tagged missing harriers may have vanished on a single grouse moor. Lets send a strong message to Westminster, enough is enough. We demand hen harrier killing is brought to an end. Please sign the e-petition here. You may think that its time for the Westminster government to get tough with those criminal who kill protected birds of prey, sending them to prison instead of handing down pathetic fines, community service, or a suspended sentence.. If you do then follow this link to a new e-petition asking our government to do just that. 1 comment to HenHarriers will become extinct in England if our government continues to put their heads in the sand. Hen harriers do not take a lot of grouse at all only young birds but not many grouse at all. They work is the food source in partnership with merlins as they put up small birds like skylark meadow pipit linnet this is food for merlin and hen harrier not grouse if we continue shooting hen harriers like other wildlife wolves lynx which are extinct we will reintroduce them back into the wild as we will only find out what we have done is wrong. Not only this, why have we shot them to extinction is because we think they take birds they shoot well how wrong are they to think this.Hen harriers should be and are a protected bird but their nests aren’t which is also wrong so this should change not only this land owners should work together with all wildlife organisations to help with these birds existents as they are such a wounderful bird that is truely unique in many ways.So lets protect them more if not once they have gone they are gone then its down to reintroducing them back into the wild I know what is right for them so should we all but we don’t so please spare a thought for these birds as they are such an wounderful bird that is nesting here in the uk.